Everything except the thread! 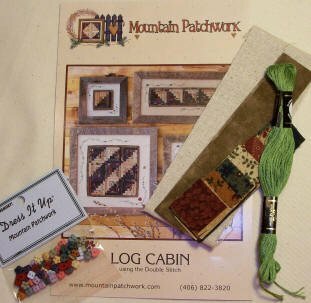 That is what you get - fabric for the logs of your log cabin block, fabric for the inner and outer borders, embroidery floss for your vines & buttons to embellish, and of course the pattern. 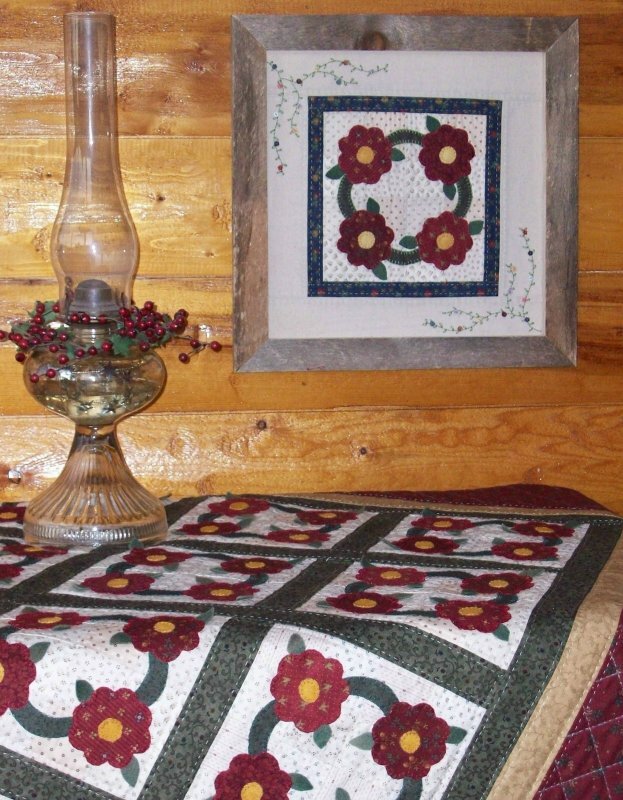 We have given you an actual visual if you decide to take the 1 block art piece and continue into a larger project such as a quilt. How fun! 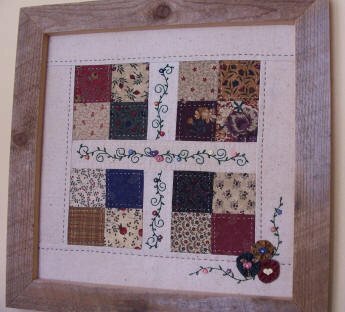 This block uses 2 1/2" squares of dark and light fabrics with sashing and borders - all included of course.